When you see the word “hybrid”, what are your immediate thoughts? I don’t know about you, but I associate the word “hybrid” with the words comfort and variety. Because hybrid beds oftentimes offer the smartest, the most comfortable combinations of layers and materials. And that’s why we are going to look at the best of them today. 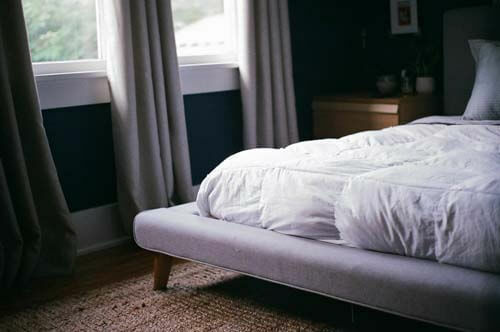 So, let’s see which top-rated hybrid mattress can alter your sleep! Is Hybrid Really for You? If you dream about 100% natural material which will be extremely soft for the skin, I would recommend casting a look at awesome hybrid mattresses. 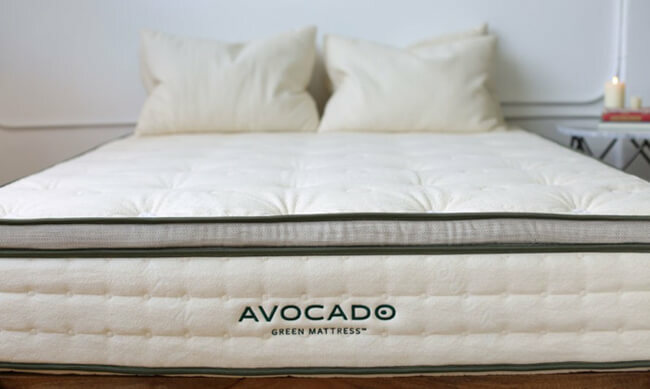 The mattress produced by Avocado worth you’re your attention as it is able to propose you exceptional quality of non-toxic materials handcrafted in the USA. Besides being natural and completely safe for you, Avocado is very comfortable. It offers a nice balance of support and cradling, which helps with pressure relief and allows users to relax completely during sleep. Eco-side of the cover is proved by GOTS-certificate and breathable cotton can present you a smooth feeling. 100% natural Joma® New Zealand Wool meets you on the top layer. The proper level of temperature is guaranteed to you for calm sleep. 100% natural Dunlop Latex layer is the next step. It can offer the consistent support required for everyone. Coil system is on the third level improves proper air flow, reduces motion transfer, gives necessary support to your spine. One more layer made of 100% natural Dunlop Latex has a good firm option and plays a foundational role. Eco-friendly components without chemical adhesives look after about your dreams. Combination of certified latex and coil system provide a pleasant feeling of comfort along with necessary support. I didn’t like firm feeling while I was sleeping. It is too firm for side sleepers. 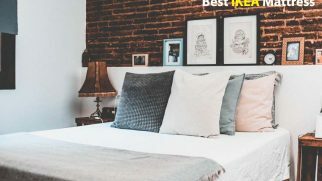 If you desire to get a foam mattress without the sinking in feeling, then you will be loved this great hybrid mattress designed by Nest Bedding. Let’s find out the advantages and disadvantages prepared for us by Alexander series. Additionally, if you share your bed with a partner and need good motion isolation, this mattress will be a great option for you. Alexander Signature effectively absorbs movement, so you and your significant other can sleep calmly without waking each other up. The cover looks pleasant thanks to its soft pattern. If you are interested in texture, you can be sure that polyester and rayon make you sleep smooth. The top layer improves airflow for cooler dreams. 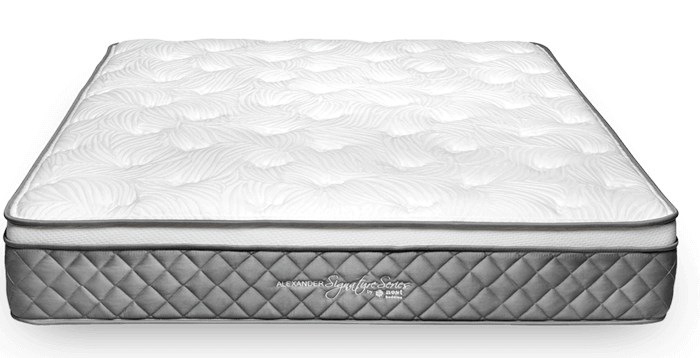 The quilted foam is purposely designed to relieve undesirable pressure points. Next layer provides comfort and cooling performance thanks to density gel foam infused with copper. Foundation support in the transitional layer is possible due to SmartFlow foam with the cooling effect. 5 zone edge support pocketed innerspring coils that act as the foundation layer and provides deep compression support. If you sleep with partner, like me, and your weight is in normal weight range, then you can rely on uninterrupted sleep with this mattress. Thanks to advanced technologies based on the combination of copper-infused foam, ventilated foam and pocketed coils, you are guaranteed comfort and needed support. Unfortunately, it will be not convenient for those couples who have heavy weight because of too much motion transfer. Winkbeds can really be considered the best hybrid bed for a number of reasons. This mattress is nicely made, features a very smart construction, and offers great comfort levels. Additionally, the Winkbeds mattress comes in a good firmness variety. You can pick among four different firmness levels, which means there’s probably a perfect option for any user. Supportive spring core. It features individually encased coils, which serve as the foundation of the bed and help with proper weight distribution. Additionally, the coils add ventilation to the overall construction. In different mattresses, the innerspring layer also features lumbar and different support zones for optimal comfort and to keep your body in a neutral position. Latex or foam comfort/transition layer. The Plus version uses latex, while other three firmness options implement foam. This layer provides a smooth transition from the comfy pillow-top to the supportive base. Latex offers some bounce while memory foam is more hugging and cradling. Micro Air-Springs. Placed right under the pillow-top, these individually wrapped springs provide some extra breathability and more support for your spine. Euro pillow-top. Depending on the firmness option, it can be extra plush, medium-firm, and firm. This comfort layer serves to provide cradling and padding for your body, making sure you feel like you’re sleeping on a cloud. Tencel cover. Derived from Eucalyptus trees, Tencel is natural, silky soft, great at moisture wicking, breathable, and cooling. The coolest thing about Winkbeds is the firmness variety it comes in. There are four different options, which means you’ll surely find the one that is perfect for your favorite sleeping position. Winkbeds allows users to find something suitable for their particular needs and preferences. And I believe that’s very valuable. As for the drawbacks, the biggest one is the motion isolation level. 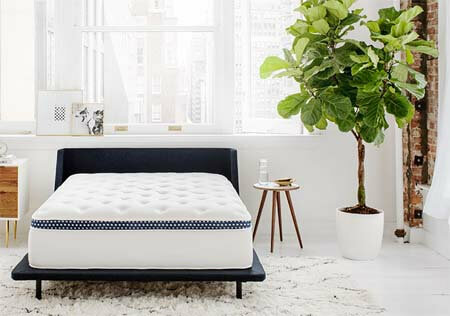 Because each model (no matter what firmness level you pick) features a rather bouncy coil system, this mattress doesn’t absorb the movements very well, which means it might not be good for couples who need decent motion isolation. DreamCloud certainly is a worthy contestant to be called the best hybrid bed. It uses premium memory foam, supportive and durable coils, and the softest cashmere cover. It also comes with an awesome trial period. However, what makes this model stand out from the competitors is the fact that it can be considered the best hybrid mattress for back pain. It offers just the right amount of dynamic support and soft, gentle cradling, which help immensely with pain relief. High-density memory foam base. It serves as the core of the bed and adds some motion isolation properties to the mattress. Five-zoned coil system. The patent-pending “Best Rest” micro coils are foam-encased and serve to provide superb support and some extra motion isolation. Dense and soft memory foam layer. It offers both support and cradling for your body. “Dream Plush” supporting memory foam. This layer easily adjusts to the shape of your body and provides some extra comfort and contouring. Natural latex layer. It serves to add a bouncy feel to the mattress and responsive cushioning. Additionally, latex is hypoallergenic and doesn’t sleep hot. Soft quilted memory foam. This is a comfort layer that provides a decent amount of padding for superb comfort. Gel-infused memory foam layer. It offers conforming support and a cooling effect. Cashmere blend Euro top. The hand-tufted cover uses a cashmere + polyester fabrics blend. It is super soft and pleasant to the touch. Additionally, it doesn’t sleep hot. The absolute best thing about DreamCloud is how good it can be for relieving back pain. Because this hybrid mattress has a smart multi-layer construction, it offers the best properties of each material used. As a result, this mattress keeps the spine aligned properly and offers great pressure relief, which helps with back pain immensely. I feel like DreamCloud might not work well for all users, side sleepers in particular. It offers a rather bouncy cradling, which means it might be too responsive and not hugging enough for side sleepers. Voila is able to offer construction with high-quality breathable fabrics, and latex that gives a bounce. Five zone pocket coil innovative technology adapts to the weight of your body. Moreover, Viola can easily be considered the best-rated hybrid bed for the majority sleeping positions. It offers just the right amount of support to keep your spine properly aligned and enough cradling to gently hug the protruding parts of your body. The cover is made of mesh from the side and stretchy polyester in general. It is quite thin that means more breathability of material. You will not wake up during the night anymore because of heat. Gel memory foam in the top layer creates excellent pressure relief and has a slower response. Polyfoam of the second layer provides proper edge support for your comfort feeling at the side of the mattress. You can change sleeping position easily thanks to latex layer which has a great bounce. Motion transfer will be reduced thanks to pocketed coils layer. I found more wonderful support for heavier people when coils are specially zoned. Coils have long durability comparing to foam versions. Dense polyfoam layer helps to support all above layers. The mattress is able to propose you three versions of firmness: plush, medium and firm, but the main feeling from it was the middle option. I found that it is more comfortable for side sleepers than for back and stomach ones. It can be too soft for them in the area of back pressure for stomach sleepers and vice versa. 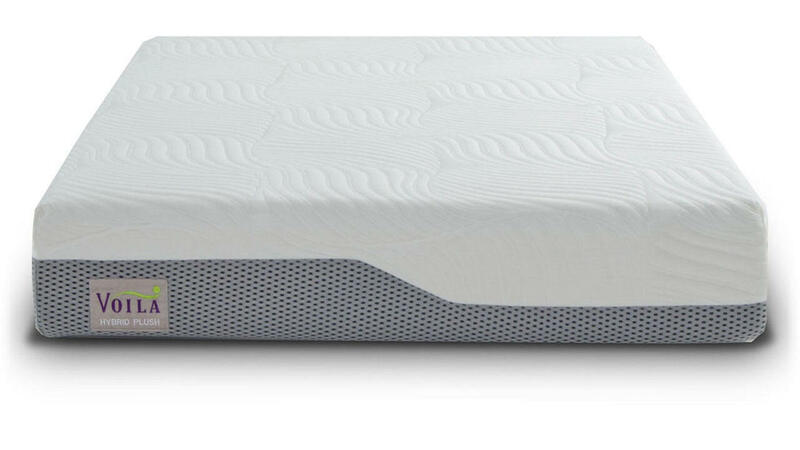 As a side sleeper, I found great the mattress designed by Voila. Heavier people will be satisfied as well. It is ideal for those, who like the combination of proper support provided by pocketed coils and pleasant feeling from foam layers. I have found the medium version too much firm for me, it is really inconvenient for uninterrupted dreams. You can also notice some odor within 2 days after arrival. The next item on our list definitely deserves your attention. Brooklyn Signature is a great mattress. It is nicely made, comes in three firmness levels, has a well-thought-out design, and doesn’t cost that much. For the price of a regular, average mattress, you get a comfortable and high-quality hybrid. To me, that’s a real bargain! Base support foam layer. It is 1 inch thick. The foam is rather dense and helps reinforce the core of the mattress. Pocketed coils. This layer is 6 inches tall. The coils are individually encased and offer a reactive support. TitanFlex high-density foam. Being 2 inches thick, this is a transition layer, which delivers good compression support and gentle contouring. TitanFlex gel-infused foam layer. Measuring 2 inches in height, this layer is responsive and effectively adapts to your body shape. Additionally, it offers a cooling effect. Quilted top with gel memory foam. This layer is 1-inch tall. It works to provide a cooling effect as well, plus some extra comfort and bouncy cradling. The mattress is high-quality and comfortable. The off-gassing isn’t chemical or overpowering. And it tends to disappear within a day. If you want a mattress you could customize for different sleeping experiences, you should definitely consider this model. Crystal Cove offers two firmness options in one, which makes it a very flexible mattress. It can work well for different people. Core – 8-inch Combi-Zone coil unit. This layer features individually wrapped coils with a reinforced lumbar zone for superb support and precise body contouring. Luxury-plush side – 2-inch charcoal-infused memory foam layer and 1-inch Flow Foam. The charcoal foam is breathable and contouring. It allows for a generous amount of cradling and offers great comfort levels. The Flow Foam layer adds some extra contouring, which makes this soft side perfect for pressure relief and restorative sleep. Gentle-firm side – 2-inch natural latex layer. It features Dunlop latex, which is rather bouncy and responsive. This side offers immediate pressure relief with great support and a moderate amount of cradling. It’s suited for almost all sleeping positions and can help you relax your body completely. The greatest thing about this mattress is, of course, its flexibility in use. 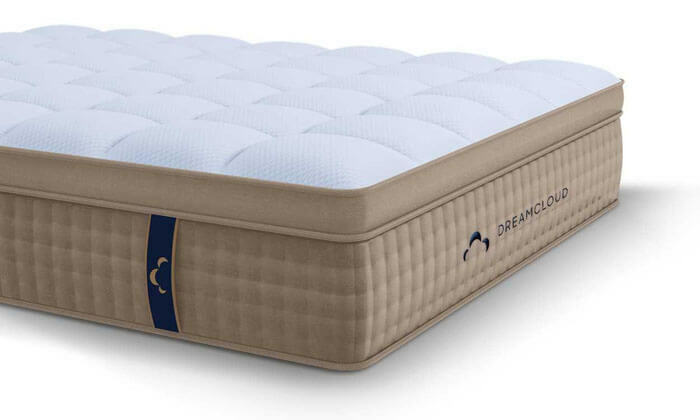 This model features two firmness levels, which means you can sleep on both of its sides for different experiences and purposes. It’s a really good deal, especially for such a price. You get two mattresses in one model, which gives you the freedom to experiment with your bed setup. As for the drawbacks, this mattress’s noise level is what might disappoint you. The coils aren’t too loud, but they still might annoy some users. Just keep in mind that this is a common issue for many hybrid mattresses that use a coil system. Among the hundreds of mattress models, finding the best ones can be a challenging task. It is important to sift through the information and the overflowing marketing claims in order to see the real value of each bed. Quality and durability. Obviously, these aspects are important (and mutually connected). A high-quality mattress will serve you longer than a mediocre model. That’s why we pick only the well-made mattresses, which have proven their durability. Materials used and design. This is what influences the comfort levels a mattress can provide. And because hybrid mattresses come in various designs, we know that there are always great options and construction variants for different users. Warranty. The longer the warranty, the more the manufacturer is sure of their product’s quality. Besides, a good warranty will make you feel safe when using your mattress during a long term. Helpful extras. I know that bells and whistles aren’t always important, but we pick the needed ones. For instance, a cooling effect, a special structure for an improved ventilation, or a two-sided design with different firmness levels. Such extras are not a necessity, but they definitely influence your comfort and can be very handy. Comfort levels and how a mattress works for others. Comfort is a subjective notion. That’s why we always check how one mattress works for different people. We take their weight, body shape, sleeping positions, and personal preferences into consideration. Why? Because there is no mattress to suit everyone. We test the beds in order to give the best and the most precise recommendations for different users. Drawbacks. Obviously, no mattress is perfect. That’s why we look at each model’s weaknesses and consider the drawbacks that can be overlooked (or can be overpowered by positive features). Hybrid mattresses are special. Why? Because when making them, manufacturers try to use the best features of the mattress materials and gather all of their benefits in one model. However, a hybrid might not be for all. These beds have their weak sides as well. So, to figure out whether this mattress type is suited for you, I suggest that you consider both the good and the bad. Hybrid mattresses unite the best features of different materials, which results in great comfort levels. Hybrids usually use innerspring systems as their core, which means they offer superb support and can help users with the proper spinal alignment. Usually, even when using coil systems, hybrids are much quieter than regular innerspring mattresses. Hybrids oftentimes have a very unique feel, which many users enjoy. They offer great edge support, which means users have a larger sleeping area (great for couples). Hybrid mattresses tend to sleep cool thanks to the air circulation in the support coil systems. They are great at motion isolation, in the majority of cases. Because hybrid mattresses oftentimes feature a complex design and higher quality materials, they tend to cost more than average mattresses, which means they might not be suitable for some people. Hybrids are rather heavy, so carrying one to your bedroom might be a real struggle. Off-gassing can be present if there’s memory foam used in a hybrid mattress. Hybrid mattresses are meant to combine the best of the materials’ properties. But will such a design work for all? Side sleepers. Such users oftentimes end up feeling uncomfortable when sleeping on traditional spring or pure foam mattresses. A regular spring bed isn’t cradling enough for this sleeping pose, while foam can oftentimes allow way too much sinkage. That’s why hybrid works so well for side sleepers: it offers the right amount of support (from the coil) and cradling (from the foam). Back sleepers. When picking a new hybrid mattress, a back sleeper should give his or her preference to a medium-firm/firm model. Such beds are great for proper spinal alignment. Stomach sleepers. These sleepers need great support and moderate cradling. That’s when a hybrid bed can come in handy. If you are a stomach sleeper, you should get a mattress with a coil base and a foam or latex comfort layer. Try to stick to firmer options for the best spinal support and alignment. People who tend to sleep hot. Because of the coil systems, hybrid mattresses are usually nicely ventilated and sleep cool. That’s why this type is ideal for people who hate sleeping hot. If you are one of them, you can also get yourself a mattress with a cooling top layer, for instance, get-infused, natural latex, or charcoal-infused. Couples. The majority of hybrid mattresses offer good motion isolation. The use of the foam balances out the bounciness of the coils, which means hybrids are suited for couples who don’t want to disturb each other during the night by tossing and turning. Heavier users. While foam allows too much sinkage and latex doesn’t always offer enough support, heavy sleepers can definitely benefit from using hybrid mattresses. The combination of supportive coils and high-density foam works perfectly to withstand a lot of weight and regular usage. Size. Usually, it is advised to get a mattress, which is at least 4 inches longer than the tallest user who’s going to sleep on it. Also, if you share your bed with a partner, consider getting a wider mattress as well. You want to have enough space to move around and change positions during sleep without disturbing your significant other. Thickness. This aspect will depend on two things: your personal preferences and your weight. If, for instance, you weigh more than 250 pounds, you should get a mattress at least 10-12 inches thick. However, if you are an average sleeper but prefer a thick mattress, feel free to pick a 12-inch one too. Firmness level. We recommend different firmness levels to different users and for various sleeping positions. Your job is to determine your most favorite sleeping pose and figure out the firmness level that would work the best for your particular needs. Base. Not all mattresses will work for your bed frame. Therefore, it is always important to clarify this aspect when buying a new mattress. Simply contact a company’s customer service representative or search on their website the information about base compatibility. Turning. Some mattresses require to be turned regularly, but many users omit this part and end up with a saggy bed. To avoid that, check this aspect before making a purchase. What do you think about hybrid mattresses? Do you believe that they are worth paying a bit more? Share your thoughts and opinion in the comments! 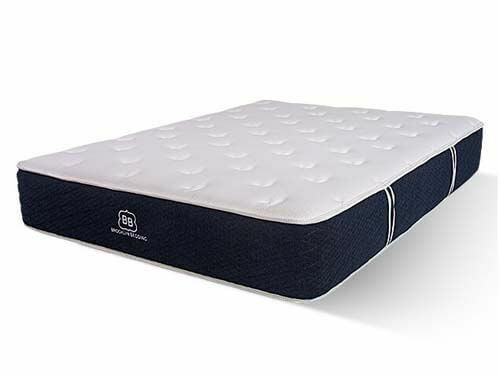 Hybrid mattresses have been designed to narrow the gap between coil and foam versions in order to satisfy demands of those who are not satisfied by one mattress type. Two materials have serious and versatile divisions. In the same time, hybrid version unlocks the potential of each type. Companies which are well-known have made serious research and found out that combination of benefits inherent to both types, make the clients satisfied and consequently, bring more profit to them. If you desire more bounce, more deep compression support, more body-contouring, or anything in between then hybrid type is oriented completely for you. Companies, who try to remain up-to-date with evolving technology, have explored the world of hybrid mattresses. Such types of a mattress are able to propose to you diverse options of fascinating combinations such as coils system and foams, foam and latex, latex and coils. 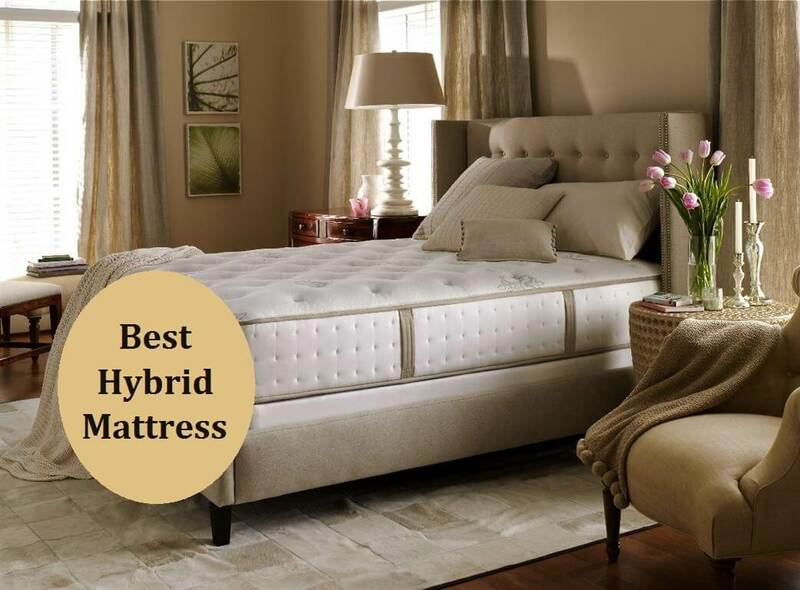 Above reviews of the best hybrid mattresses are purposely created into your consideration. Just decide on the particular mattress. I would be persistent to propose you mattress designed by Avocado if you prefer only organic materials. Nest Bedding is the reputable company which made their best with Alexander Signature Hybrid mattress. 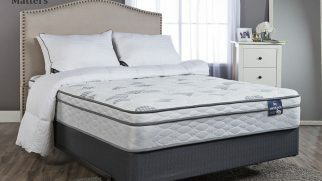 The fascinating combination of foam and coils gives respective support and undeniable comfort throughout the night. Have you made up your mind? Are you ready to make a purchase? Which one are you leaning towards? Comment down below!